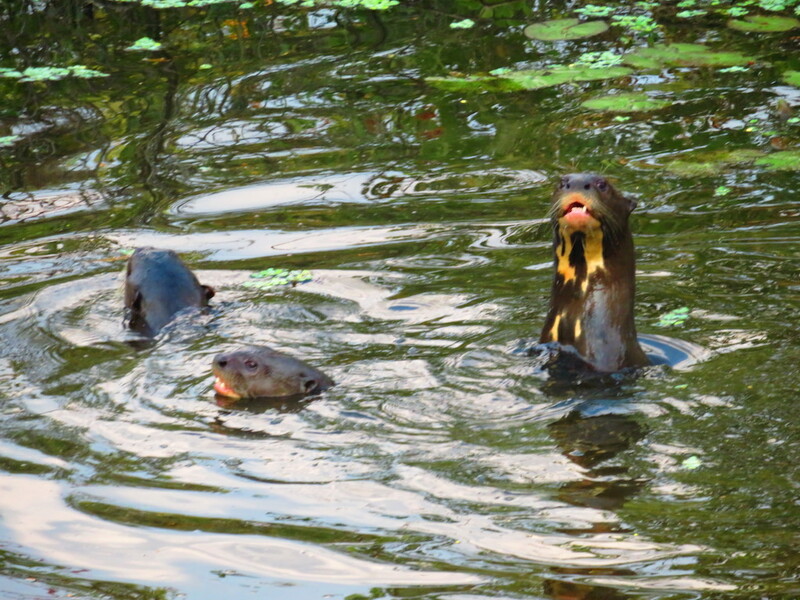 Giant river otters! The longest member of the weasel family at 5-6 feet, their throat markings are unique and can be used to identify individuals. One of their local names translates to “water jaguar”.